Nine’s Wide World of Sports pushes the “Home of Rugby League” to a new level in season 2018 when footy fans get LIVE and FREE rugby league access like they’ve never seen before on Nine and 9Now – including exclusive coverage of State of Origin and the Telstra Premiership Grand Final. Key features of the 2018 Premiership include 23 Thursday Nights of NRL, two blockbuster rounds of football over the Easter and Anzac weekends with four matches each on Nine, and the last five Saturdays LIVE and FREE on Nine. Every match will be streamed on 9Now. There’s a blockbuster lineup of rugby league programming too – a new-look NRL Footy Show, a new-look Sports Sunday and a new-look Sunday Footy Show will be joined by the brand new 100% Footy program, the Intrust Super Premiership in NSW, and the Intrust Super Cup in Queensland. 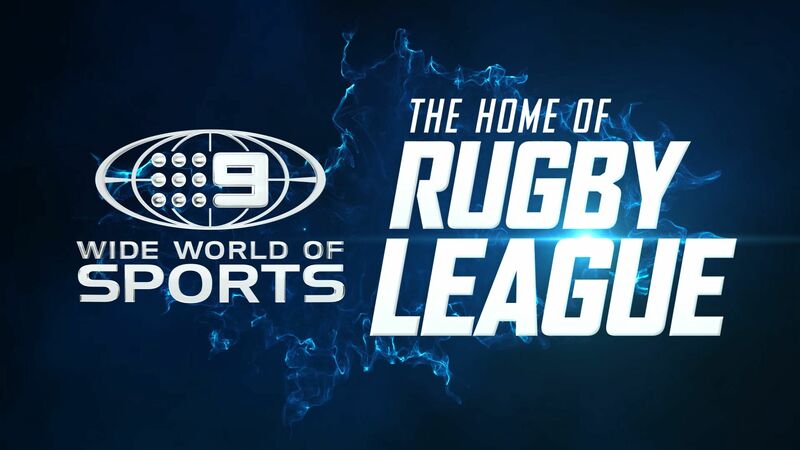 In addition to 9Now providing access to LIVE streamed rugby league matches and programs, the Wide World of Sports digital offering on wwos.com.au will keep rugby league fans up to speed online with enhanced clips and highlights of all matches, live scores and statistics, round-the-clock news and expert analysis. Nine will be there from the opening whistle of the NRL season on Thursday, March 8 when the Dragons host the Broncos, with star Dragons recruit Ben Hunt making his debut against his former team. The following night on Friday Night Football, Johnathan Thurston and the Cowboys will take aim at Paul Gallen and the Sharks. Then on Sunday, Nine showcases the battle of Sydney’s west between the Panthers and the Eels, when Jarryd Hayne makes his NRL return to the blue and gold of Parramatta. The Wide World of Sports commentary team is again led by Ray “Rabs” Warren, the only voice rugby league fans have known and loved for over 40 years. James Bracey will host Thursday Night Football, Friday Night Football, Saturday Night Football and Sunday Afternoon Football, and he will be joined by rugby league Immortals Andrew Johns and Wally Lewis, along with Phil Gould, Peter Sterling, Paul Vautin, Darren Lockyer, Brad Fittler, Ray Hadley and Mat Thompson. The growth of women’s rugby league is a huge focus in 2018. Nine and 9Now will broadcast up to eight women’s matches LIVE and FREE in HD across the season, including a stand-alone women’s State of Origin game on Friday, June 22 from North Sydney Oval. Jillaroos Ruan Sims and Allana Ferguson will join the Nine team across the footy programs, as well as in commentary for the women’s games and the Intrust Super Premiership in NSW. THURSDAY NIGHT FOOTBALL – All 23 Thursday Night fixtures LIVE and FREE in HD with exclusive broadcast access to the venue. The NRL FOOTY SHOW – The new-look NRL Footy Show returns on Thursday, March 8. Join host Erin Molan, along with co-hosts Andrew Johns and Ryan Girdler, for the 2018 return of the program. Refreshed and rejuvenated regulars Beau Ryan and Darryl “The Big Marn” Brohman are back with punchier offerings. The new, footy-focused format sees the show integrated into Nine’s Thursday Night Football coverage, giving viewers the best seat in the house before, during and after the game. FRIDAY NIGHT FOOTBALL – Every Friday Night NRL Fixture LIVE and FREE, with exclusive broadcast access to the venue and extended post-game show with access to the dressing rooms, press conferences, and news and analysis from the ground. INTRUST SUPER PREMIERSHIP – 1.00pm Saturdays on Nine in NSW. The famous clubs that provided the foundation of the rugby league premiership, such as the North Sydney Bears, Newtown Jets and Wests Magpies, will square off in venues that are rich in rugby league history as we showcase the next generation of NRL stars. Caller Joel Caine will be joined by premiership winners Benji Marshall, Jamie Soward and Paul Gallen, and Jillaroos star Allana Ferguson. INTRUST SUPER CUP – 1.00pm Saturdays on Nine in Queensland. The premier competition for the Sunshine State will start on Saturday, March 10 and provide Queensland viewers with all the entertainment from their favourite teams. Former Queensland Origin representative and NRL premiership winner Scott Sattler will be - SATURDAY NIGHT FOOTBALL – The last five 7.30pm Saturday matches of the regular NRL season will give fans four matches a week LIVE and FREE in HD as they cheer their team home in the run to the finals. SPORTS SUNDAY – Returns Sunday, March 4 at 10.00am AEDT, LIVE on Nine. In 2018, Sports Sunday returns with bold and passionate debate about the biggest issues in the world of sport. Headlined by two of Australia’s leading sports personalities and opinion-makers, Peter FitzSimons and Liz Ellis, host James Bracey will welcome regular appearances from our nation’s biggest sporting stars – past and present – including Michael Clarke, David Warner, Wally Lewis, Candice Warner and Shane Crawford. SUNDAY NRL FOOTY SHOW – Returns Sunday, March 11 at 11am AEDT. Host Erin Molan will be talking footy with Peter Sterling, Brad Fittler and Allana Ferguson. Every league fan’s favourite Sunday morning destination is back with a tweaked format that will feature Sterlo regularly sitting down one-on-one with the game’s current players. SUNDAY AFTERNOON FOOTBALL – From Sunday, March 11 LIVE and FREE in HD at 3.00pm AEDT. A one-hour, pre-game show straight from the match venue will kick-start a big afternoon of NRL action and deliver access like no other, in every regular round of the Telstra Premiership. 100% FOOTY – ALL NEW FOR 2018, Mondays at 9.45pm AEDT on Nine. 100% Footy is the home of the strongest opinions in rugby league from the people who count. Every week Phil Gould squares off with Paul Gallen, alongside Jillaroos star Ruan Sims and journalist Neil Breen. Hosted by James Bracey, 100% Footy is a weekly dive into the hottest topics in the greatest game of all, and there’s only one place to get it – Nine: the Home of Rugby League.joined by Peter Psaltis and Ben Dobbin when the defending premiers, the PNG Hunters, return to defend their crown.